Snapshot – Tata Motors has charted out a road map for the next four years with a slew of car launches spanning across segments. While CarToq has already profiled the major car launches from Tata Motors for 2014 and 2015, this list is a wrap up on what to expect from the Indian car and utility vehicle major in 2016 and 2017, even as the automaker seeks to claw back market share that it has lost to recent upstarts in the Indian market. 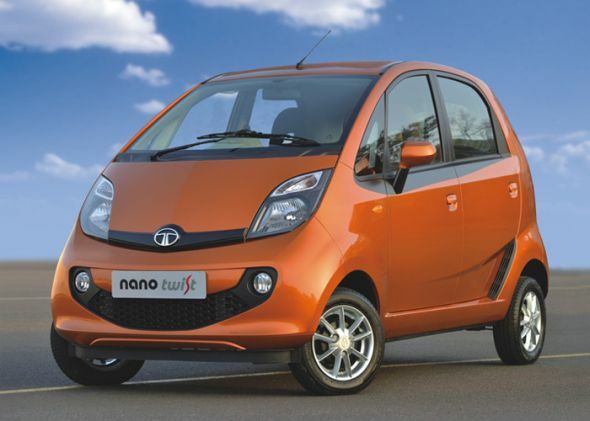 Tata Motors has begun taking the Nano upmarket. The recent addition of a power steering and the upcoming Twist Active variant with an open-able hatchlid and an automated manual transmission are two such examples of the Nano moving steadily upwards. The car’s definitive move into Maruti Alto 800 and Hyundai Eon territory will happen in 2016, when Tata Motors will launch a larger engined Nano. The larger engined Nano is likely to feature an 800 cc-3 cylinder petrol engine. Features such as a open-able hatch lid, automated manual transmission (AMT) and an electric power steering are expected to be standard fare on the more powerful Nano, which is also expected to feature disc brakes up front and better performance. Tata Motors has been a player in the B+ segment hatchback space for many years now, with the Vista. However, a feature loaded competitor to say the Hyundai i20 or the Honda Jazz hasn’t been in the scheme of things at Tata Motors. This status will change in 2016, when Tata Motors enters the premium B+ segment hatchback market. Expect the new car to feature turbo petrol and turbo diesel engines. AMT technology and other such class leading features are expected to be standard on the new hatchback, which will sit at the top of Tata Motors’ hatchback line up in terms of price and positioning. The Tata Sumo has soldiered on for two decades and the multi utility vehicle named after ex-Telco boss Sumant Moolgaonkar isn’t getting any younger. While Mahindra has readied up the replacement to the Sumo’s arch rival, the Bolero, through the U301 platform, lined up for 2015, Tata Motors’ Sumo replacement will come in 2016. The MUV is expected to be lighter and more fuel efficient than the outgoing Sumo. Other details remain sketchy for now while the coming months should throw more light on what the all-new next-gen Sumo will pack in. Tata Motors showcased the Nexon crossover concept at the 2014 Indian Auto Expo, amid much appreciation for the design direction in which the Indian automaker is headed in. The Nexon’s production version will arrive into India in 2016. Expect advanced connectivity options and a versatile seating layout to be stand out features of the Nexon, which is likely to be priced under the 10 lakh rupee mark. In India, the Nexon is likely to complete with the likes of the Ford EcoSport and the Mahindra S102 crossovers. Tata Motors is developing a premium, luxury SUV code-named the Q5, with extensive inputs from Land Rover. The luxury SUV will arrive in 2017. 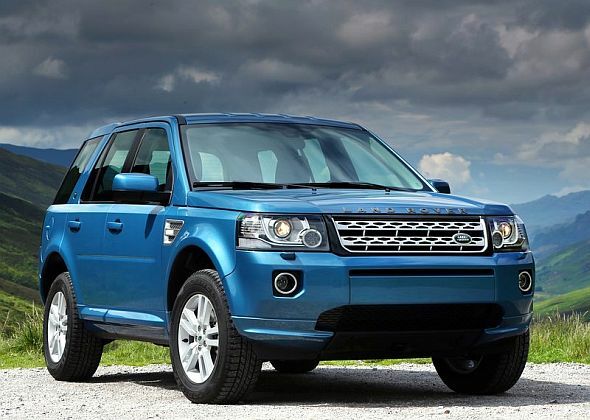 The Freelander2 SUV platform is expected to form the basis of the new Tata SUV. Expect premium interiors and various new technologies to filter down from the Land Rover line up to the Tata Q5 SUV. The SUV could be a showcase of what Tata Motors can deliver in terms of design and build quality. The Q5 is likely to sit above the Aria in terms of price and positioning. 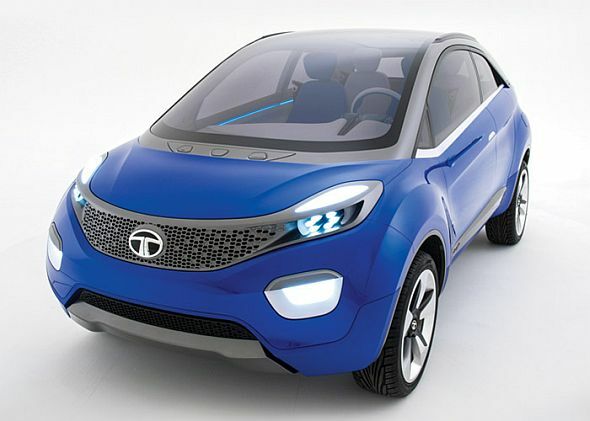 The Advanced Modular Platform (AMP) of Tata Motors will result in a slew of cars and one such car will be a new entry-level hatchback model. The new hatchback will sit in the big volume B-segment space and is aimed at gathering volumes for the Indian automaker. Other details on the new entry-level hatchback remain unknown for now.